Like the vast majority of the people that I know, including many people who profess to be experts on the history of Phoenix, I know nothing of life south of the railroad tracks. It's strange, but just a few blocks away from an area that I know very well, downtown Phoenix, I can hardly tell you the names of the streets. And since it's a subject that most people don't want to talk about, it's history that gets forgotten, and ultimately is at the risk of being erased forever. I understand. Some of it just isn't very pretty. And things like segregation are parts of the past that many people would like to forget. And since I'm not a "person of color" - I'm an "average white guy", there are many people who resent my even talking about it. But it's like every aspect of Phoenix history, it fascinates me, and recently I've gotten some help with it, so I'm hoping that soon I'll be able to share more. 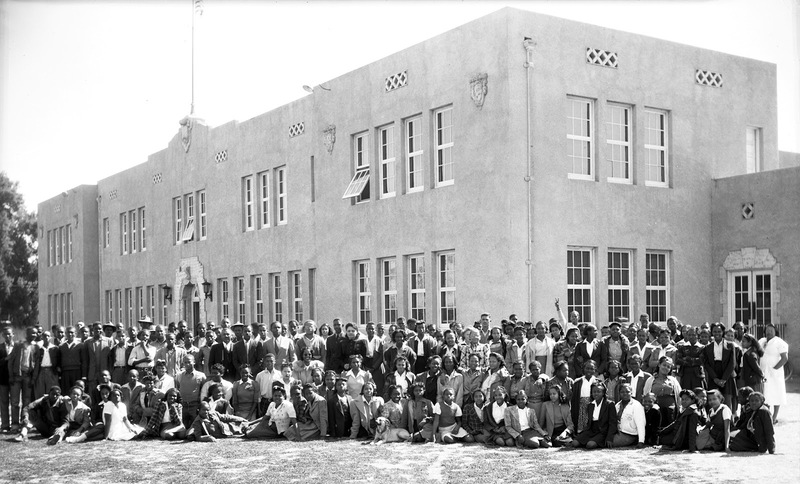 I have a PhD (Phoenix History Detective) whose main interest is the history of south Phoenix. It's where he grew up, so he has a very personal connection, and he is also deeply interested in history, right now to the kind of details that I like. Even as we speak he's working on it, and I'm looking forward to seeing what he finds, and will share. I realize that there is a very fine line between interest in the historical aspects of a city, and simply voyeurism. And south of the railroad tracks things could get very suspicious, no one is denying that. But this was a place where people lived, raised families, did the kind of livin' and dyin' that makes a city. Going south of the tracks in Phoenix, even just to talk about it, seems taboo. Certainly it isn't something that I intend to treat lightly, nor do I plan on re-writing history to make it all squeaky-clean. Watered-down history is an insult to the people who created that history. If you're interested in this journey, I suggest that you start at Carver High School, which is now a museum. It's so close to Chase Field that you could probably hit a baseball most of the way to it, but in the historical life of Phoenix it just seems so far away. 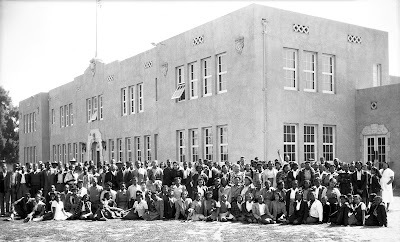 Image at the top of this post: George Washington Carver High School in 1942, 415 E. Grant, Phoenix, Arizona.